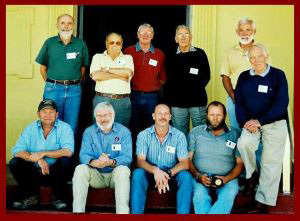 was held in the remote outback Queensland town of Cloncurry on 18th and 19th August 2003. Over 35 delegates attended to listen to the speeches and presentations. A limited edition book of the speeches and presentations was produced. Welcome & opening address. Dedication to Tom 'O Riley. Welcome from Mayor of Cloncurry Shire. Pre Burke & Wills explorers. The Search for the Sandstone Cave. Ian Andrews An Indecent Obsession.